In this competition, Dezeen readers have the chance to win one of five tournament wall charts to keep track of results during the 2018 FIFA World Cup in style. This competition is now closed. Congratulations to the winners, who are Laura Gralnick from New York, USA, Colin Percy from Wylam, UK, Sarah David from Samora Correia, Portugal, Tom Byrne from London, UK and Francisco Soeiro from Hastings, UK. 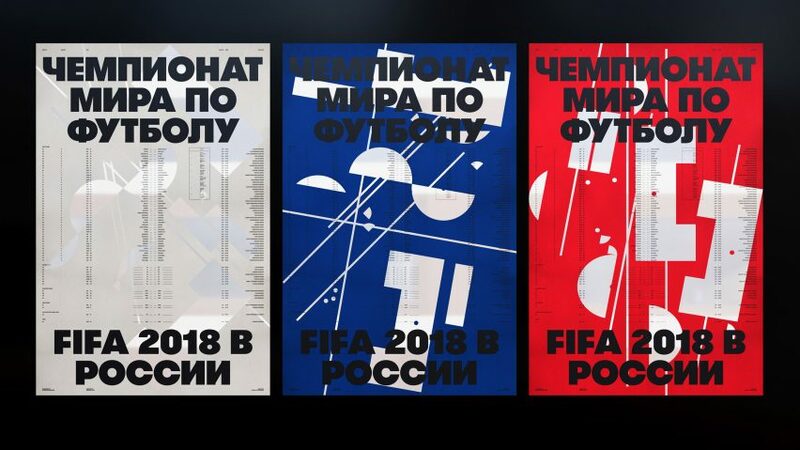 The Russian Suprematism inspired wall chart depicts a deconstructed football pitch complete with bold Russian language typography. This edition is the latest in a series of designs from Studio Blackburn and Nirvana CPH, who have been collaborating on design-led tournament wall charts since the 2002 World Cup. The graphics recall the classic design and styling of Soviet-era football teams, with a nod to this year's World Cup poster, which features legendary goalkeeper Lev Yashin. With a striking design that uses a high-quality screen printing process the wall chart is designed to be both functional during the tournament, and a collectible that fans will want to keep after the final whistle is blown. Paul Blackburn, founder of Studio Blackburn said: "We want to offer football fans an alternative to the garish and unattractive wall charts many will be used to putting up with as they plot their team's progress during international tournaments." "We've been working with Nirvana CPH on these wall charts since 2002," Blackburn continued. "It began as a real passion project of just a few editions, but over the years, we've had amazing feedback from friends and colleagues; this year we're delighted to make them available to the public for the first time." The wall chart comes in four colour schemes – red, white, blue and a "special edition" gold. Competition closes 12 June 2018. The winners will be selected at random and notified by email, and their names will be published at the top of this page.